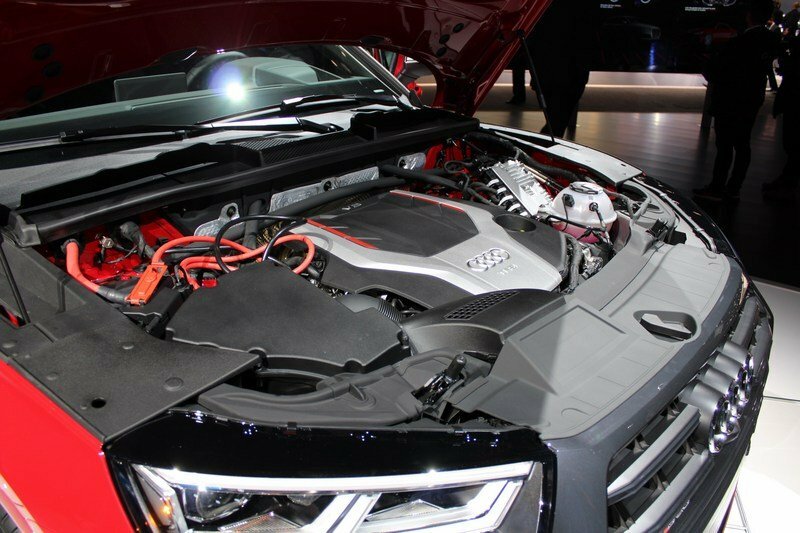 Audi drops supercharger for turbo power! 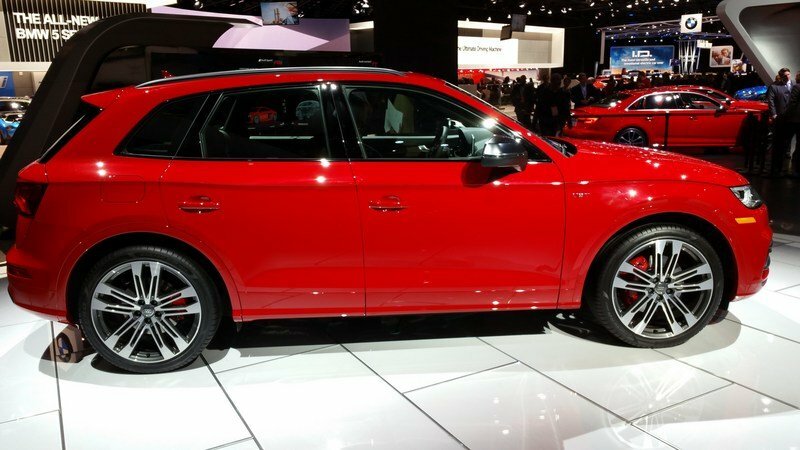 Unveiled for the 2017 model year, the second-generation Audi Q5 received the performance treatment at the 2017 Detroit Auto Show. Highlighted by an "S" badge and a more aggressive exterior design, the SQ5 also benefits from all the updates that came with the new-generation crossover, including a revamped interior with new technology. As seen on the standard Q5, the new SQ5 adopted the more angular design of the current Q7, the vehicle that introduced Audi’s new styling language for SUVs and crossovers. We can notice the same flat,coupe-like roof, the wave design shoulder line, and the pronounced wheel arches that make the Q5 feel modern and sporty. When it comes to features that set it apart from the standard model, the SQ5 received all the familiar features you’d expect from an S-badged Audi. Up front, the "singleframe" grille was changed from chrome to Platinum Gray. The horizontal slats are also finished in the dark, yet still shiny paint, while the vertical bars are almost invisible behind the grille. 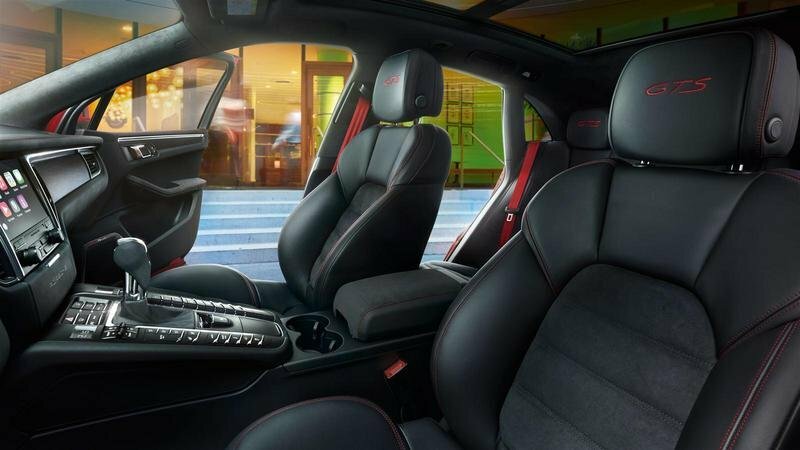 These features give the SQ5 a sportier appearance. The bumper is also a bit different, but outside the blacked-out bars in the side vents and the black inserts in the apron there isn’t much to talk about. The really good news here is that unlike the Q7, the SQ5 doesn't look like a station wagon on stilts. Onto the sides, there are two noticeable changes. The upper mirror caps are silver instead of body-colored, a common feature for performance-oriented Audis, while the rims sport an exclusive, twin-five-spoke design. 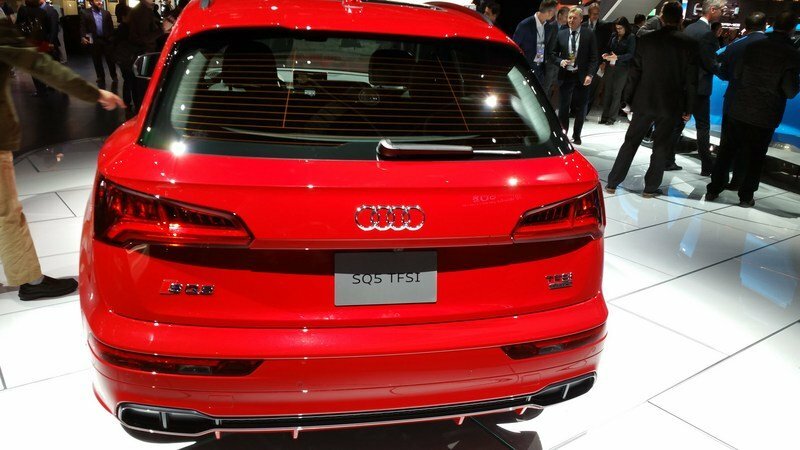 Around back, the roof spoiler and the tailgate seem to be identical to the regular Q5, but the lower bumper with its black insert and larger exhaust pipes sets the SQ5 apart. Overall, this crossover might not be as aggressive as an RS model, but it comes with plenty of features that make it stand out in a crowd of standard Q5s. And the new, angular body design definitely works well with the muscular looks of the engine hood and rear haunches. The really good news here is that unlike the Q7, the SQ5 doesn’t look like a station wagon on stilts. 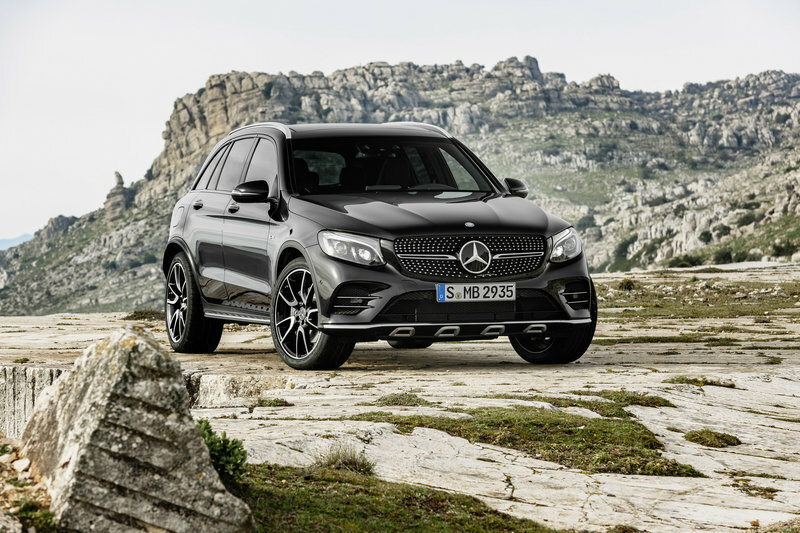 The only performance-oriented GLC model to date (Mercedes-Benz has yet to launch an AMG 63 version,) the GLC43 is also a regular model with a slightly beefed-up exterior. 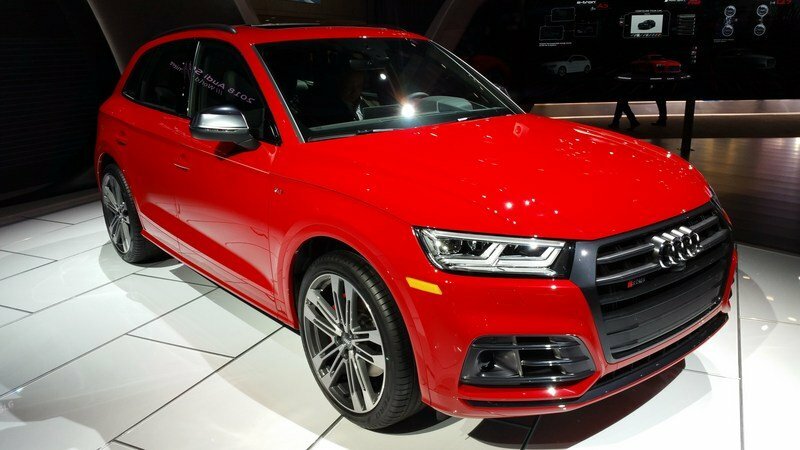 The recipe is very similar to the SQ5 and includes slightly sportier bumpers, a diamond radiator grille, lowered ride height, and larger exhaust pipes among other features. Although not as new as the Q5, the GLC’s design is relatively fresh. Around since 2015, the GLC won’t change much over the next few years. A facelift is likely to come in 2018, but changes should be limited to a few nips and tucks. Still, the AMG GLC43 has what it takes to give the new SQ5 a run for its money in the design department and I think that Merc’s more organic design works well with the sporty character of the crossover. 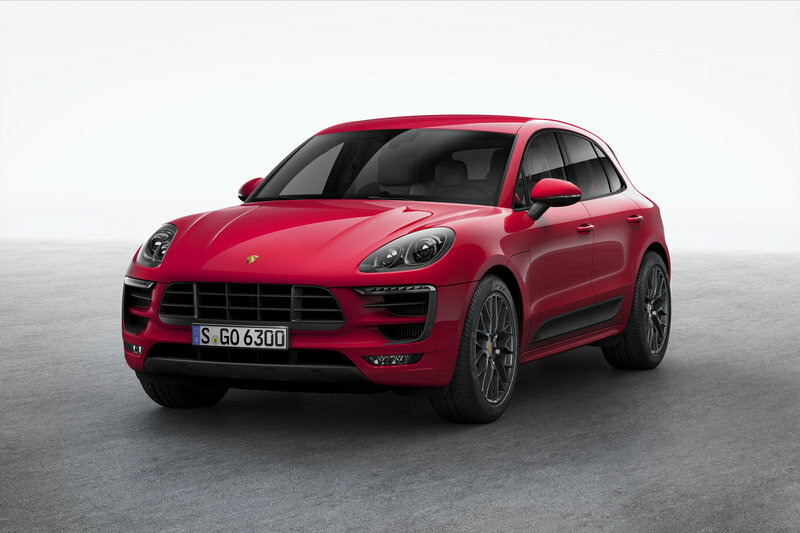 Arguably the most iconic sports car in existence, the Porsche 911 morphed into a compact crossover known as the Macan. Arguably the most iconic sports car in existence, the Porsche 911 morphed into a compact crossover known as the Macan back in 2014. 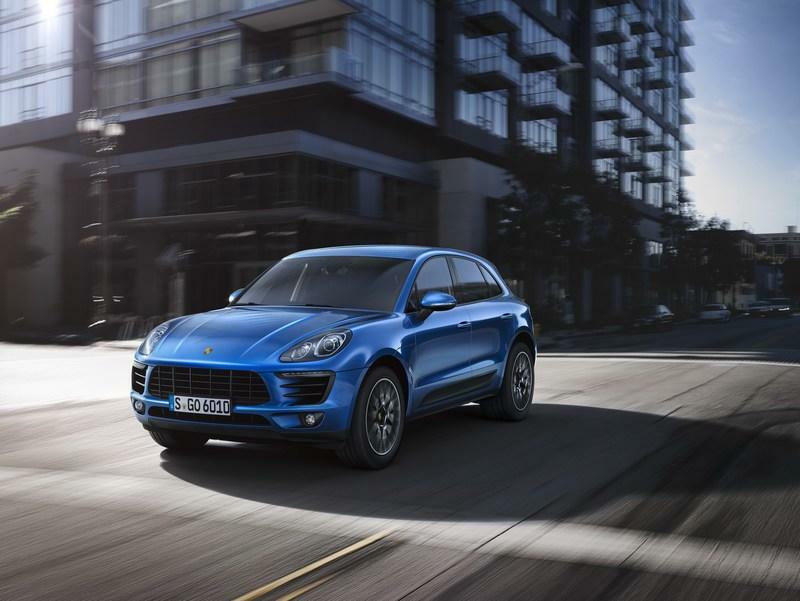 Of course, it’s not a full-fledged sports car, but it’s safe to say that the Macan is the 911 of the crossover market. Many of the 911’s styling cues are there, including the headlamps and taillights, the bumper, and the wide rear fenders. Things get even better for the Macan GTS, which looks pretty menacing thanks to its matte black accents, lowered ride height, lightweight wheels, and flashy exterior colors. If you want a crossover that looks fast and aggressive, you just can’t go wrong with the Macan GTS. The second-gen Q5 broke cover with a fully redesigned interior and all those new features made it into the SQ5. The center stack is now cleaner thanks to the redesigned infotainment system that’s accessible through the free-standing display mounted on the dashboard, while the instrument cluster looks more high-tech thanks to its massive screen. 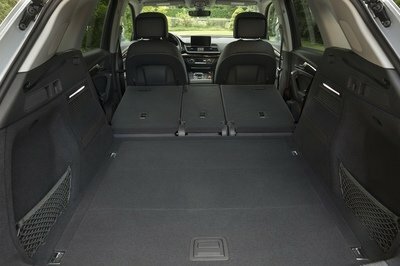 Audi also uses better materials in the SQ5, although this isn’t very noticeable in the all-black presentation model. 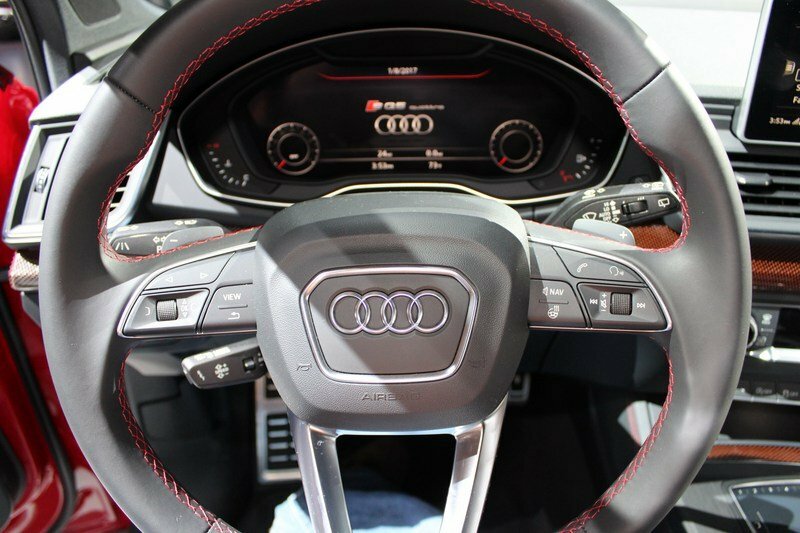 For the SQ5, Audi developed a new flat-bottom steering wheel and revised the sports front seats, which come standard. These can be had with diamond stitching as an option. The new matte, brushed aluminum inlay are also standard, but they can be replaced with carbon-look trim for an extra fee. Stainless steel door sills with "S" badging round off the design updates. 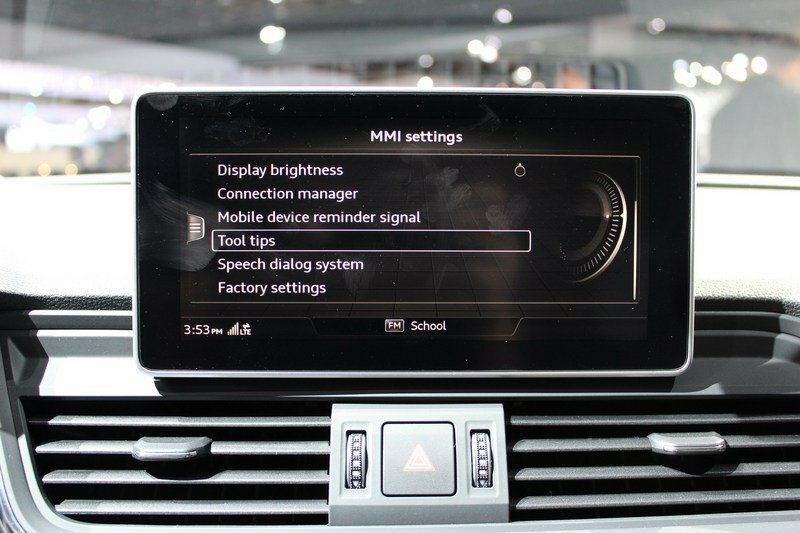 The new SQ5 boasts a comprehensive package comprising MMI Touch and Audi's "virtual cockpit". Moving over to technology, the SQ5 boasts a comprehensive package comprising MMI Touch and Audi’s "virtual cockpit." The former comes with handwriting-recognition technology and smartphone interface with Apple CarPlay and Google Android Auto integration. The "virtual cockpit" features Google Earth images, 4G LTE, and a unique sport display mode that brings the tachometer and speedometer to the front and center of the display and adds a boost gauge and lap timer. A full-color heads-up display is also available. 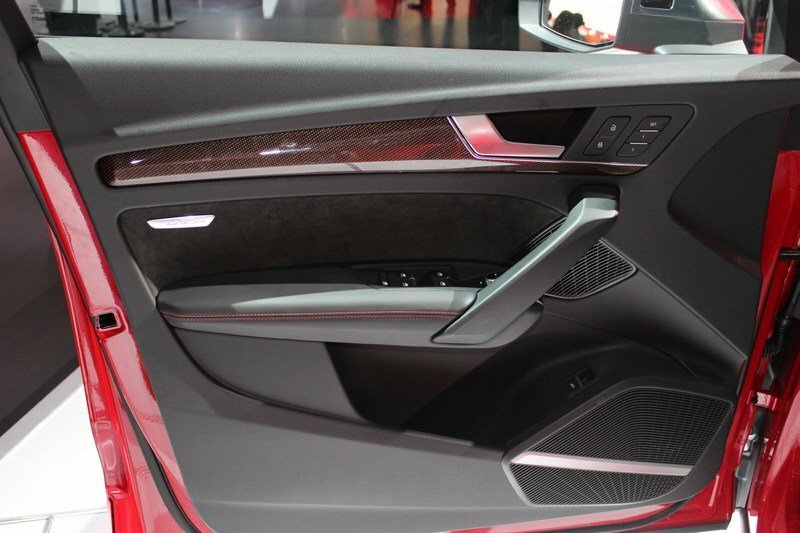 Although specs aren’t yet available, Audi promises more legroom and shoulder room, as well as increased cargo capacity with the second-row seats folded down. 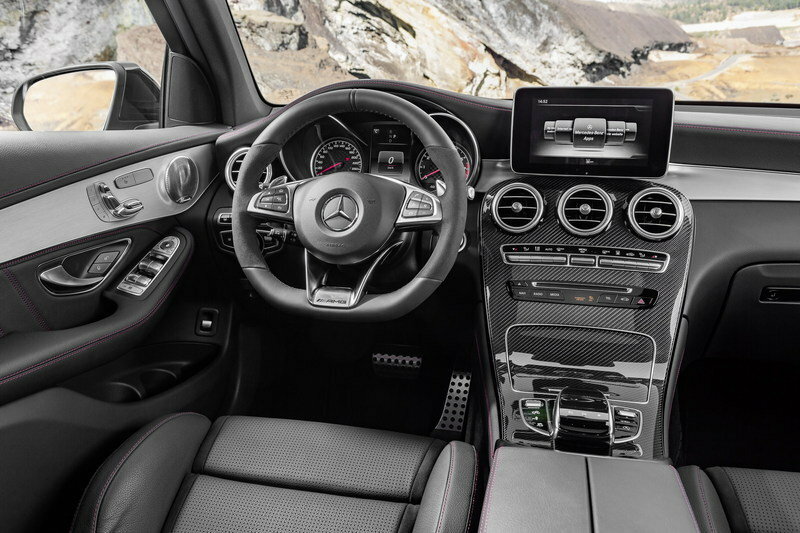 Built around the platform first introduced on the C-Class sedan, the GLC sports a similar interior as part of Mercedes’ strategy to offer SUV counterparts for most of its cars. And this is one of the crossover’s main highlights, as the C-Class has one of the most beautiful interiors on the market. The similarities are impressive, ranging from the wide center console with three round A/C vents and clean surfaces to the dashboard design, instrument cluster, and infotainment display atop the center stack. As a performance model, it is also equipped with a flat-bottom steering wheel, sports seats, and silver trim. 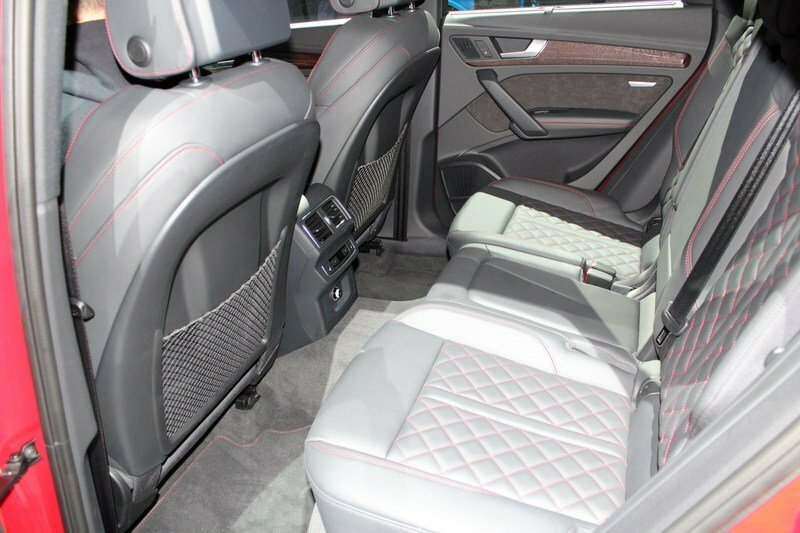 The cabin is also fitted with "AMG" badges, red contrast stitching, and sports pedals. 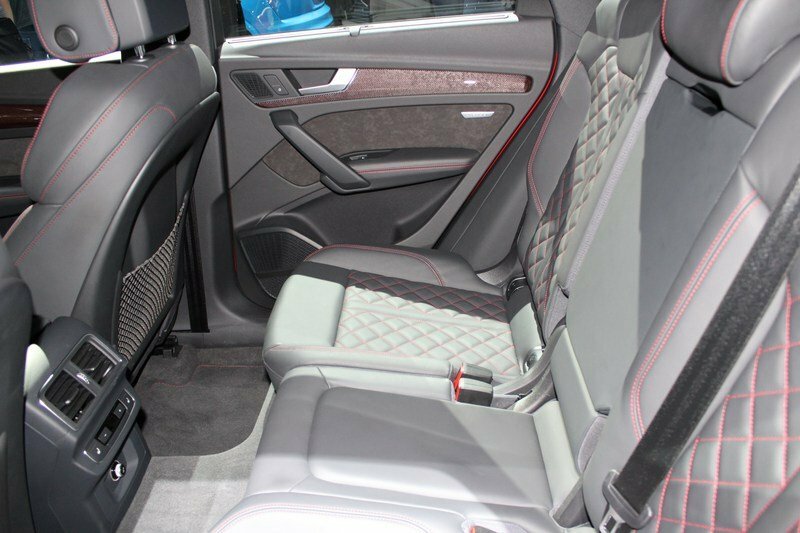 Much like any Mercedes-Benz out there, carbon-fiber trim can be selected optionally. 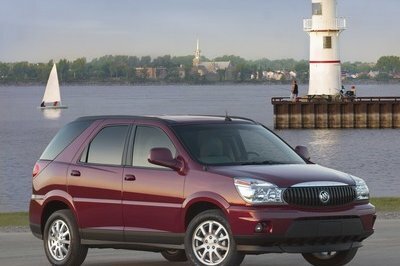 Standard tech features include a seven-inch color display, SiriusXM radio, 14-way power driver seat with memory, dual-zone climate control, heated front seats, power liftgate, and HomeLink garage door opener, among many others. 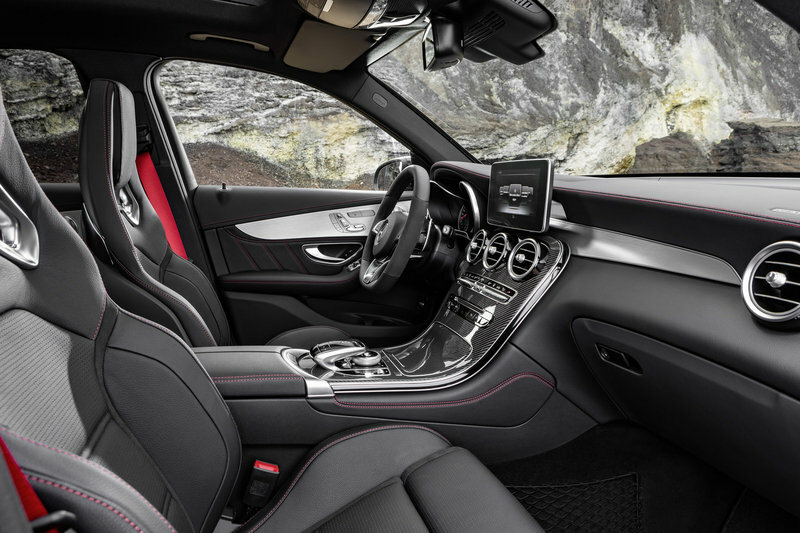 The options list includes an 8.4-inch infotainment screen, AMG head-up display, WiFi hotspot, and a Burmester premium audio system. In the Macan GTS you get all the cool features from the standard, but already sporty looking Macan plus many goodies that come with the "GTS" badge. Moving over to the Macan GTS, you get all the cool features from the standard, but already sporty looking Macan plus many goodies that come with the "GTS" badge. Once inside, you’ll be treated to unique leather and Alcantara trim on the eight-way powered front seats, red stitching, GTS-branded tread plates, and matching seatbelts and rev counter (optional). 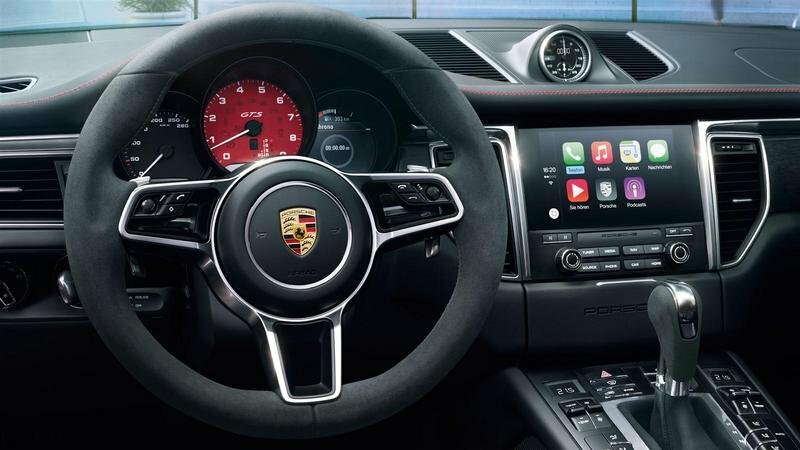 The Macan GTS also received a new infotainment system with Apple CarPlay connectivity in 2016, powered by either Porsche Connect or Porsche Connect Plys. The latter includes 3D navigation with satellite image overlays and dynamic route calculations, LTE Wi-Fi hotspot, and real-time traffic updates. The Porsche Communication Management system with the eight-speaker sound system, USB and aux-in interface, SiriusXM and HD radio, and Bluetooth connectivity are also standard. On the flipside, due to its heavily raked, coupe-like roof, the Macan is a bit cramped in the rear seat and headroom is very limited compared to rival offerings. There’s big news under the hood as well. 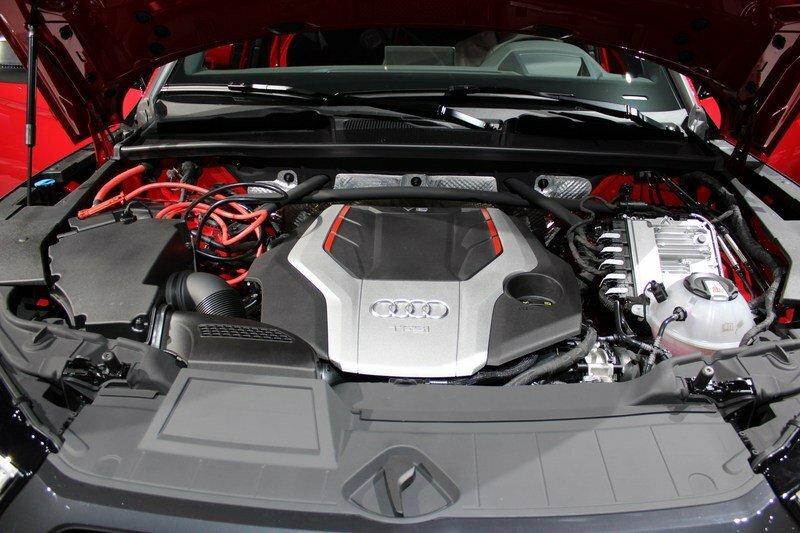 While the previous model had a supercharged V-6 engine, the new SQ5 gets its juice from a turbocharged unit. Also displacing three liters and using a V-6 layout, the force-fed unit — shared with the S4 sedan — cranks out 354 horsepower and 369 pound-feet of twist. Compared to the old engine, it has the same horsepower rating and an additional 23 pound-feet of torque. 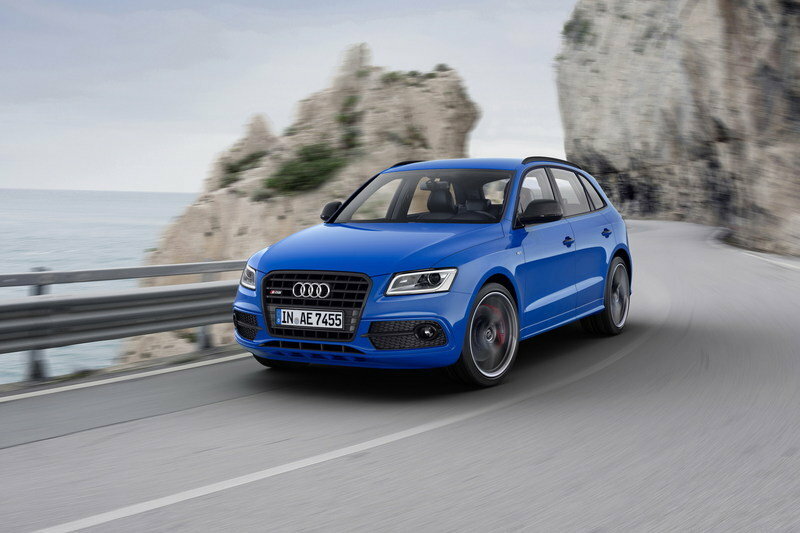 While the previous model had a supercharged V-6 engine, the new SQ5 gets its juice from a turbocharged unit. 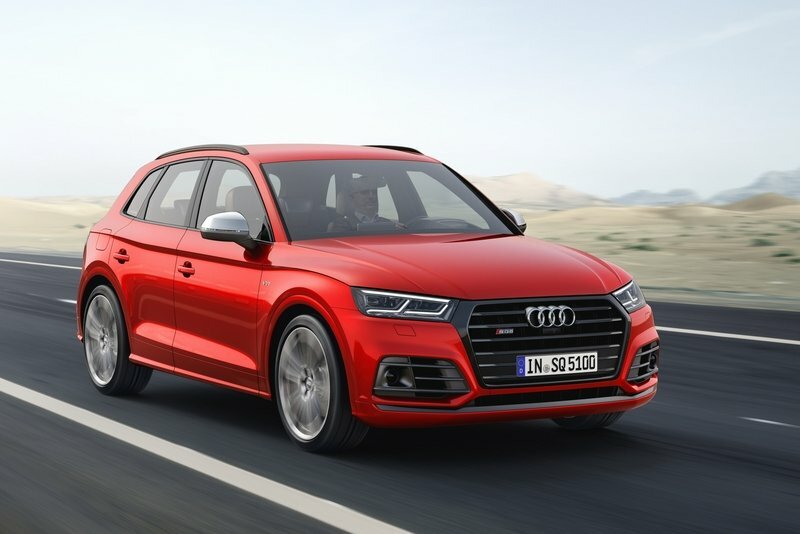 It might not sound like a lot for a new-generation engine, but we need to keep in mind that the second-gen SQ5 is not only lighter, but also uses revised drivetrain components, including the transmission and Quattro all-wheel-drive system. Speaking of which, the reworked eight-speed automatic transmission provides quicker, smoother shifts, while the Quattro system is standard. Charging from 0 to 60 mph takes 5.1 seconds. 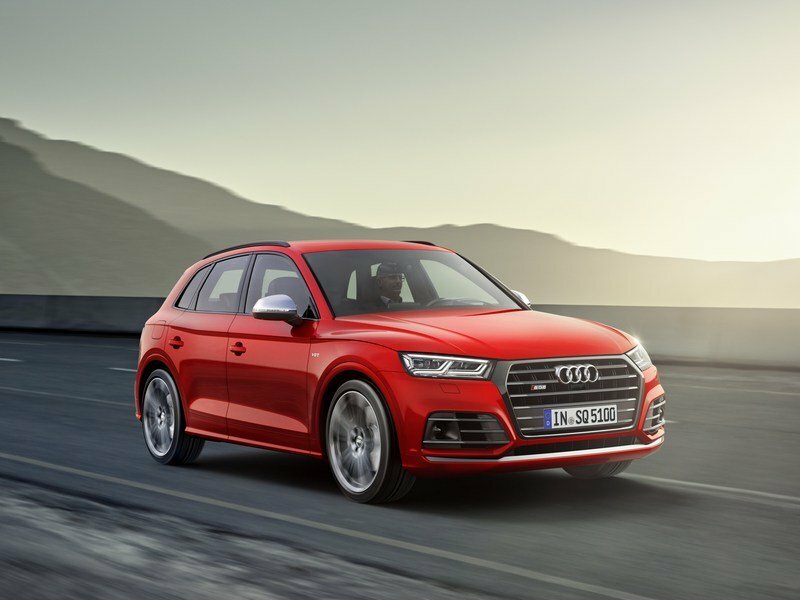 Charging from 0 to 60 mph takes 5.1 seconds according to the manufacturer, but given that the outgoing model returned quicker sprints, the new SQ5 should be able to hit the benchmark in less than five ticks in certain conditions. Needless to say, this is pretty impressive for a crossover. The available S sport package adds a sports rear differential can offer an even more dynamic driving experience by actively splitting torque between the wheels of the rear axle, with the ability to direct nearly all torque to one wheel. Sporty on the outside the Mercedes-AMG GLC43 is aggressive under the hood too. 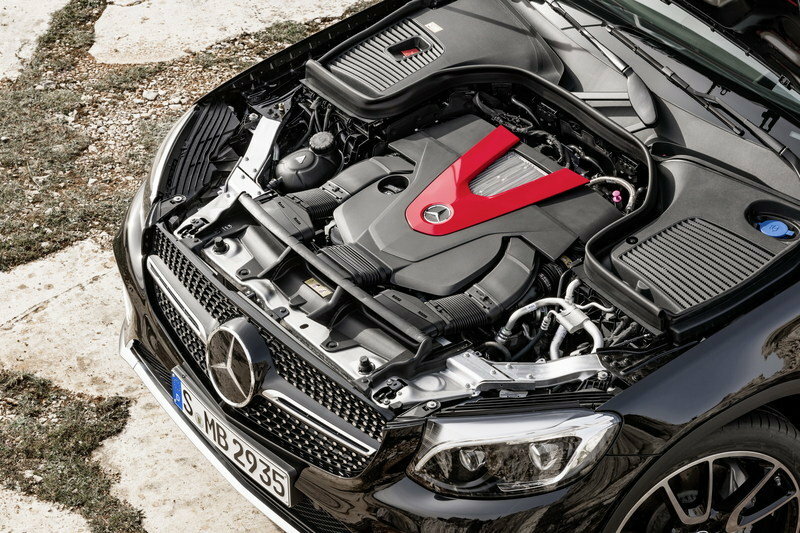 Motivation comes from an AMG-prepped, 3.0-liter V-6 that uses a couple of turbochargers to send 362 horsepower and 384 pound-feet of twist to all four wheels. That’s eight horsepower and 15 pound-feet more than the Audi SQ5. It might not seem like much, but it’s enough to make the Merc 0.3 seconds quicker from 0 to 60 mph at 4.8 clicks. The quick-shifting 9G-Tronic nine-speed automatic and the 4Matic all-wheel-drive system that distributes 69 percent of the engine’s torque to the rear wheels and 31 percent to the front are also responsible for the fantastic performance. The AMG Dynamic Select system gives the driver access to five different modes, including Sport and Sport Plus, in which the transmission shifts at a higher engine speed. Performance-wise, the Macan GTS is a tenth-second quicker than the SQ5 and two tenths slower than the GLC43. 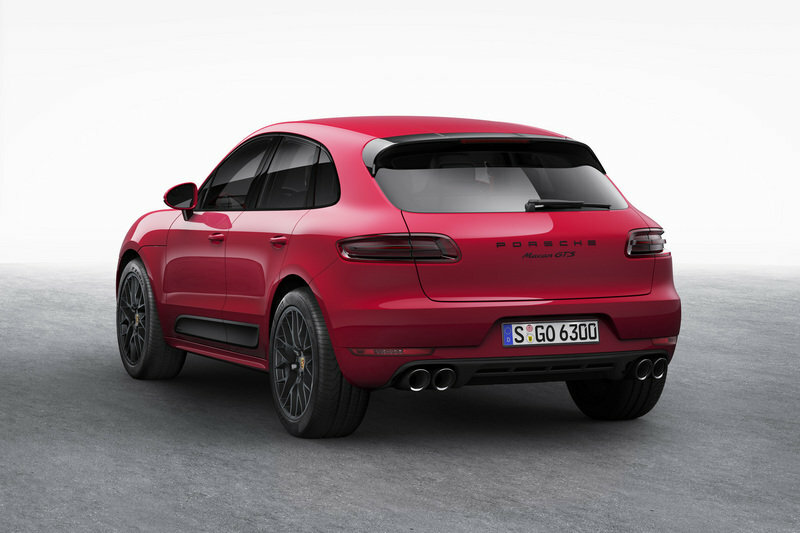 The Macan GTS is also powered by a 3.0-liter V-6 that uses two turbines for extra oomph. Mated to a race-inspired PDK transmission and an all-wheel-drive system, the V-6 cranks out 360 horsepower and 369 pound-feet, which places it just above the Audi SQ5 and just below the Mercedes-AMG GLC43. Performance-wise, the Macan GTS is a tenth-second quicker than the SQ5 and two tenths slower than the GLC43 from 0 to 60 at exactly five seconds. However, opt for the Sport Chrono package and the sprint drop to 4.8 ticks, making it as quick as the Mercedes. Top speed is rated at 159 mph, four mph more than both its competitors. Significant upgrades can be found in the suspension department too. 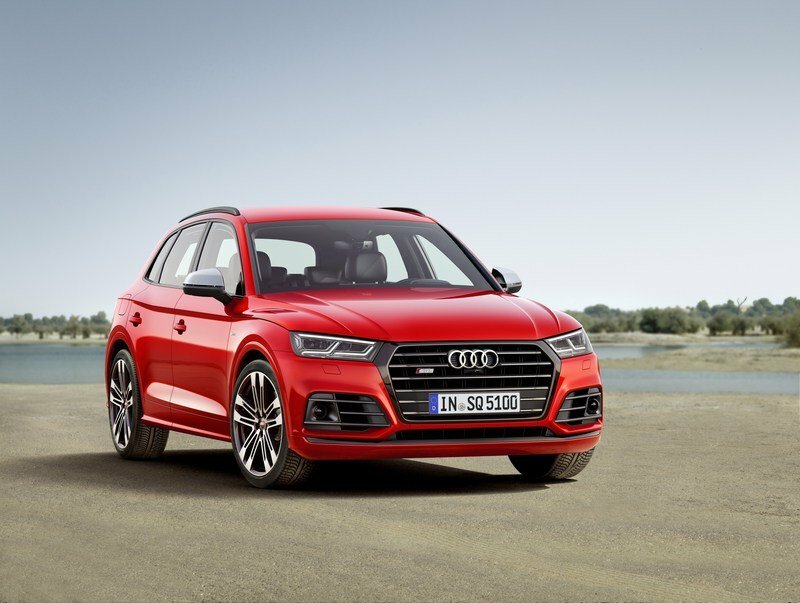 For starters, the SQ5 uses a new front five-link suspension with lightweight construction for greater steering precision and excellent handling. Audi also offers an optional sport adaptive air suspension that lowers vehicle height by 30 mm (1.18 inches) compared to the standard adaptive system. The air suspension also allows for adjustment of both the ride height and the firmness of the dampers, and is controllable via Audi drive select. The lift/offroad setup is added with the available sport adaptive air suspension and increases ground clearance when needed. Another new features is the lift/offroad mode. Offered along with the standard four drive select modes – comfort, auto, dynamic and individual – the lift/offroad setup is added with the available sport adaptive air suspension and increases ground clearance when needed. Finally, there’s the optional dynamic steering, which offers a variable steering ratio that adjusts based on vehicle speed and the Audi drive select setting. At higher driving speeds, dynamic steering improves straight-line stability, while at lower driving speeds a more direct steering ratio is enabled to help increase steering response for easy maneuvering. 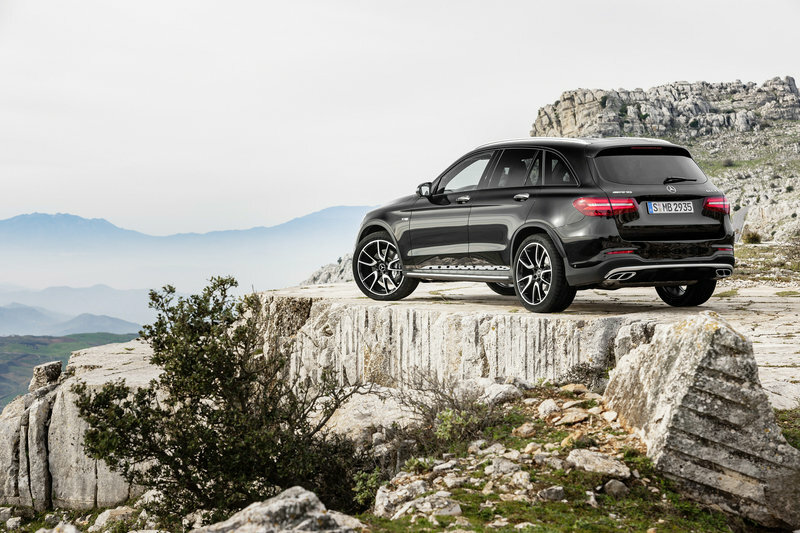 Although it doesn’t have a "63" badge on its tailgate, the GLC43 is fully prepared to tackle the Nurburgring thanks to its performance-tuned chassis. Up front, the four-link front axle has specially designed steering knuckles and load bearing joints, while the negative camber and elastokinematics make the SUV more rigid and agile. The sport suspension system is based on Air Body Control, and there is an adaptive damping system that offers three manual adjustments. The GLC43 also uses a speed-sensitive sports steering with a variable ratio, which offers precise and authentic feedback with the steering gear changing. Brake discs measuring 14.2 inches in the front and 12.6 inches in the back provide stopping power. Both the GLC43 and Macan GTS are fully prepared to tackle the Nurburgring. The GTS was also conceived for on-track performance, with Porsche giving it a suspension system based on the 911’s. It includes adjustable ride heights and variable damper stiffness and a 0.4-inch lower ride height. 10 millimeters to help increase the crossover’s on-road performance. The Macan GTS also comes with an Off-Road mode in which the PASM system prepares the SUV for not-so-smooth terrain, but it’s best that you opt for a different model if you’re looking to venture on the unbeaten path. Just like the Q5, the SQ5 features a number of advanced driver assistance systems designed to help drivers navigate the road and traffic with increased confidence, while also providing extra safety. The standard Audi Pre Sense City, an automatic emergency braking system, helps detect stationary vehicles and pedestrians, and if necessary, initiate full braking at speeds of up to 52 mph when a potential collision is detected. Then there’s also Side Assist, also standard, which provides blind spot monitoring via LED indicators on the exterior mirror housing and includes rear cross traffic assist, which supports the driver when reversing out of perpendicular space. Pre Sense Rear helps monitor the traffic following the vehicle. Also available is adaptive cruise control with stop & go, which automatically maintains distance from the vehicle in front, including braking and accelerating. Between 0 to 40 mph, traffic jam assist combines acceleration, braking and steering guidance, which can help decrease the stress of driving in congested traffic. As you’d expect from a Mercedes-Benz, the AMG GLC43 is packed with airbags front and rear, including side curtain, as well as active safety features. Standard equipment includes Collision Prevention Assist, Blind Spot Assist, Rearview Camera, ABS, Brake Assist, adaptive braking, ESP, and trailer stability assist. You can also opt for Distronic Plus with Steering Assist, Active Blind Spot Assist, Active Lane Keeping Assist, Active Parking Assist, and Surround View. The same goes for the Macan GTS with comes with standard front, side, and curtain airbags, electronic stability control, ABS brakes, traction control, front and rear crumple zones, and a reinforced cabin structure. The Porsche Stability Management (PSM) is one of the crossover’s main highlight. The electronic control system uses sensors that continuously monitor driving direction, speed, yaw velocity and lateral acceleration. PSM actively intervenes to stabilize the vehicle when necessary by strategically applying the brakes at individual wheels. If the driver suddenly releases the accelerator pedal, PSM primes the brake system and maximum braking power is therefore achieved much sooner. Pricing for the new SQ5 is not yet available, but it shouldn’t cost a lot more than the outgoing model, which is priced from $53,300. My best guess is that Audi will ask around $54,500 for the redesigned crossover. 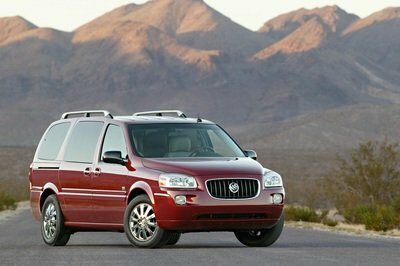 For reference, this should be about $14,000 more than the standard Q5. 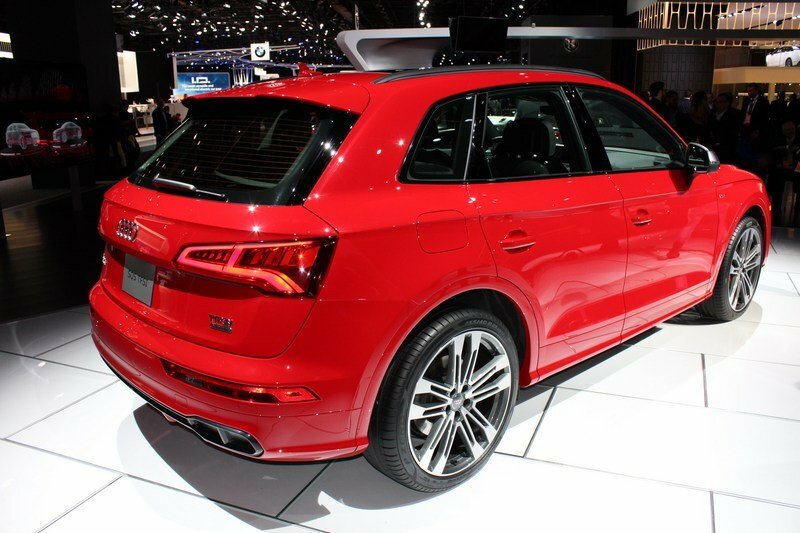 Like the previous SQ5, the new vehicle should be offered in two versions in the U.S., Premium and Prestige. Expect the Prestige trim to fetch at least $61,000 before options. Pricing for the Mercedes-AMG GLC43 starts from $54,900, which is on par with what I expect Audi to charge for the new SQ5 before options. But while the GLC43 costs about as much as the Audi, the Macan GTS is significantly more expensive at $67,200. I know what you’re thinking, but this is not a typo. Although I used the GTS as a benchmark throughout the review, I’m also listing the Macan S as an option, simply because it’s powerful enough to give the SQ5 a run for its money and it costs about as much as the competition. Granted, it doesn’t have all the cool features you can get with the GTS, but the Macan S is just as sporty as its AMG and S-badged rivals. More importantly, the twin-turbo, 3.0-liter V-6 under the hood is plenty powerful at 340 horsepower and 339 pound-feet of torque. And despite missing 14 horses and 30 pound-feet when compared to the SQ5, it’s not that slow. In base form, it needs 5.2 seconds to hit 60 mph, a tenth-second less than the Audi, but add the Sport Chrono package and it will take you there in five ticks. Pricing-wise, the Macan S is on par with both the Mercedes-AMG GLC43 and Audi SQ5 at $54,400, but only as long as you don’t want extra options. 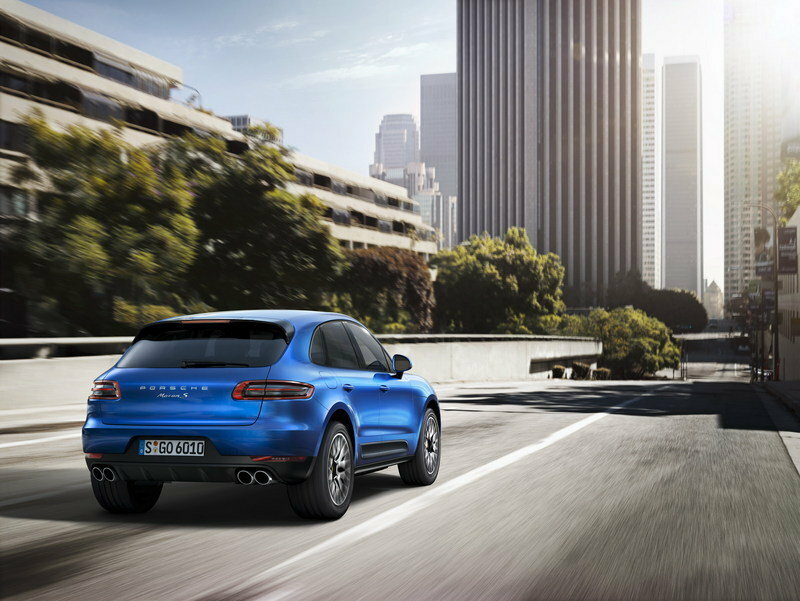 Learn more about the Porsche Macan here. It’s true that the X3 is the actual competitor for vehicles like the GLC and Q5, but BMW doesn’t offer a true rival for the AMG GLC43 and SQ5. Not only does the most powerful X3, the xDrive35d, crank out "only" 309 horsepower, but it’s not available Stateside. What’s more, the X3 is about to be redesigned in 2017, which makes it pretty old for this comparison. As a result, I’m looking at the X4, also known as the coupe version of the X3. If you can get past the hunchback design and the old design language, the X4 is a great option against the GLC43 and SQ5 if you go for the range-topping M40i. 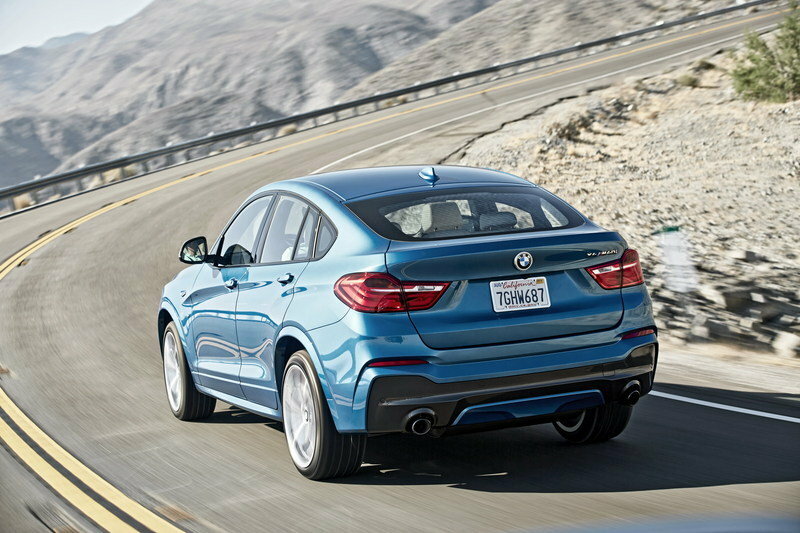 Although not a full-fledged M car, the M40i uses a twin-turbo, 3.0-liter inline-six engine rated at a whopping 355 horsepower and 343 pound-feet of torque. It might not be as powerful as the GLC43 and Macan GTS, but don’t let the statistics fool you, this X4 is actually the quickest of the bunch, needing only 4.7 seconds to hit 60 mph from a standing start. At $58,100 before options, it’s also more affordable than the GTS. 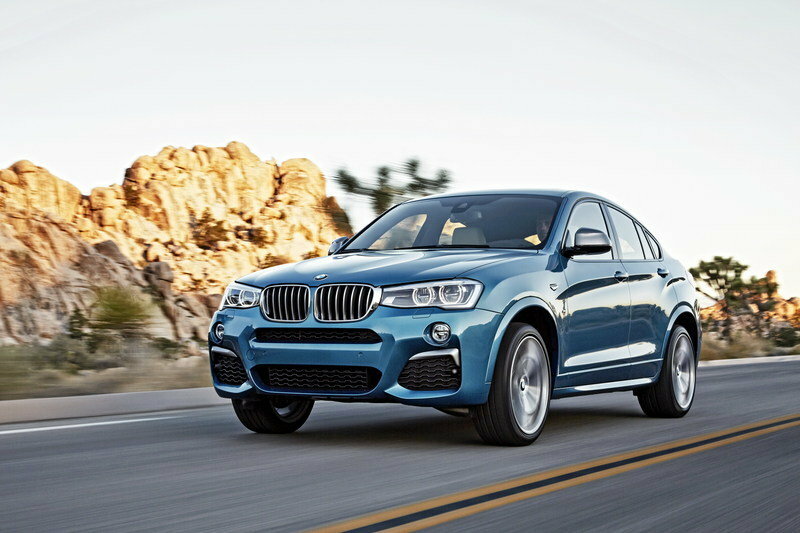 Find out more about the BMW X4 M40i here. The first-generation SQ5 may have been only four years old as of early 2017 (it was launched with the Q5’s facelift in 2013), but it was based on a crossover that’s been around for eight years and a replacement was more than necessary given that Mercedes-Benz, Porsche, and BMW have newer products in showrooms. The second-gen model is by no means surprising design-wise, having borrowed nearly every feature from the Q7. However, it’s a big step forward as far as the chassis is concerned, and the switch from supercharging to turbocharging also moves the crossover forward. Some might be disappointed by the lack of extra power compared to the outgoing model, but a quick look at the charts reveals that the SQ5 is no slouch. Granted, it’s slower than all of its competitors, but two tenths don’t make that much of a difference unless you take the crossover racing. And let’s face it, you’re not buying an SQ5 to set a new Nurburgring record. 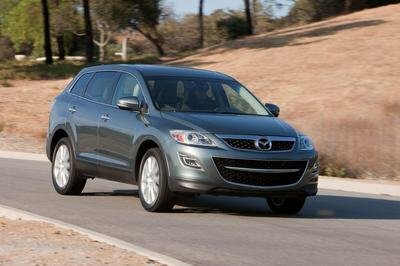 All told, there are better and quicker options out there, but it really depends on what you want from a compact crossover. The fact that that you have at least three options that cost around $54,000 says a lot about how tough this segment really is. 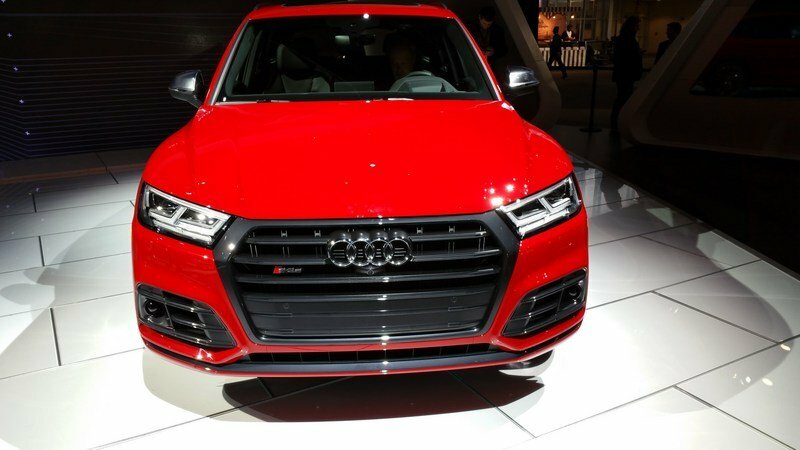 With increased power, a new turbocharged V6 engine and a more progressive, sporty design, the all-new Audi SQ5 makes its global debut at the North American International Auto Show. New for 2018, the second-generation SQ5 offers a full suite of available driver assistance systems and advanced infotainment features, combined with a dynamic driving experience, to set a new standard in the luxury performance crossover segment. Featuring an all-new 3.0-liter TFSI® V6 engine, the Audi SQ5 produces 354 hp and 369 lb-ft of torque, between a broad 1370 – 4500 rpm range. The eight-speed tiptronic® transmission is well suited for the low-end torque of the turbocharged V6 and its eight gears provide quick, smooth shifts. 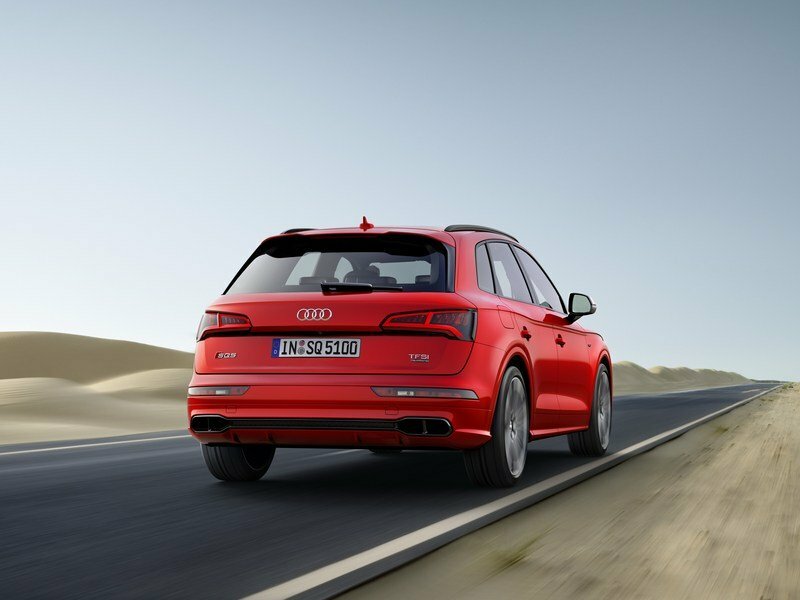 Every Audi SQ5 is standard-equipped with quattro® all-wheel drive, offering high-precision and dynamic handling through active torque distribution to both axles. 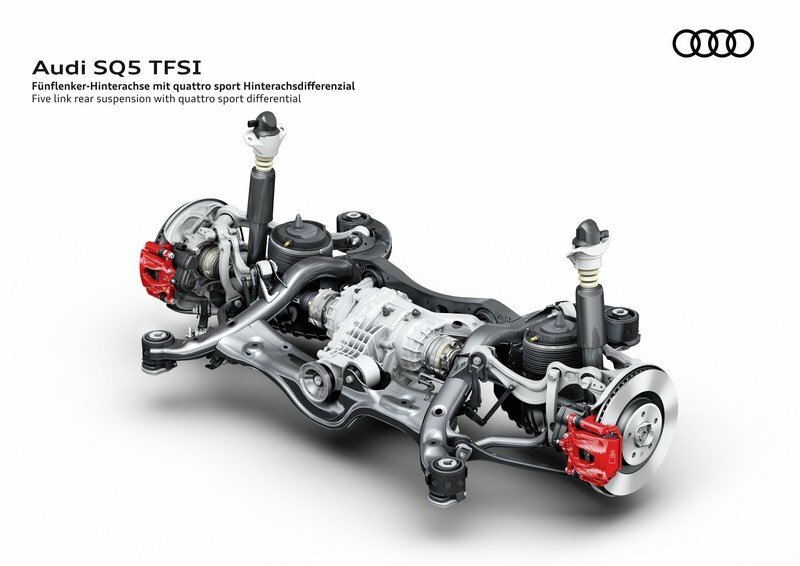 As part of the available S sport package, the SQ5 with quattro® sport rear differential can offer an even more dynamic driving experience by actively splitting torque between the wheels of the rear axle, with the ability to direct nearly all torque to one wheel, helping maximize driving dynamics. 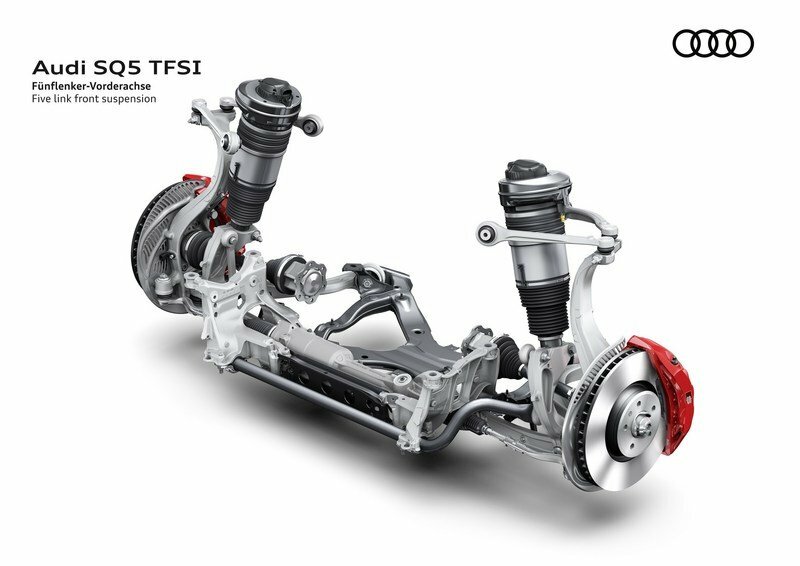 For 2018, a newly developed front and rear suspension allows for both a sporty driving experience and more comfortable ride for long distances. The new front five-link suspension with lightweight construction offers greater steering precision and excellent handling through optimized steering-rack placement direct at wheel centers. 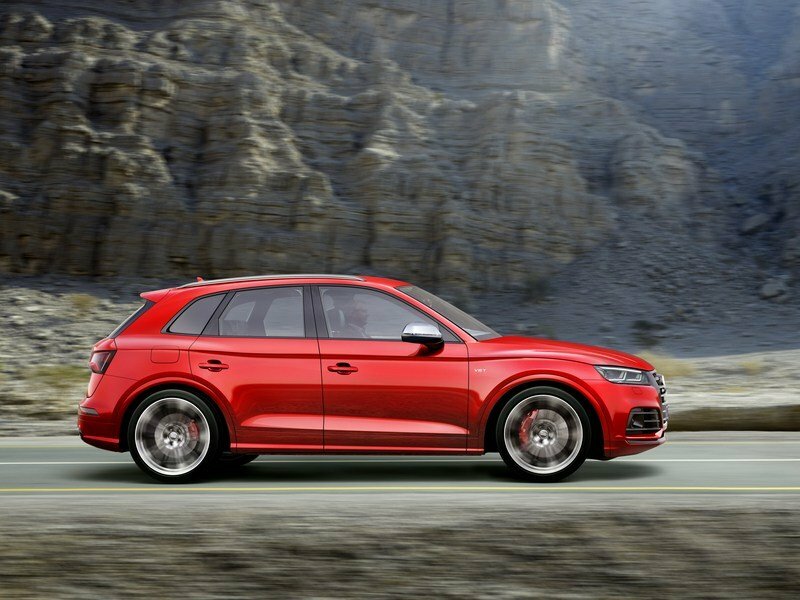 The available S sport package also includes, for the first time on the SQ5, a sport adaptive air suspension, which lowers vehicle height by 30 mm (when in auto mode) compared to the standard adaptive suspension. The air suspension system allows for adjustment of both the ride height and the firmness of the dampers, and is controllable via the standard Audi drive select. Along with the standard four drive select modes – comfort, auto, dynamic and individual – the available sport adaptive air suspension also adds both an allroad and a lift/offroad mode, which raise the air suspension for increased ground clearance when needed. Also available on 2018 SQ5 models is dynamic steering, which offers a variable steering ratio that adjusts based on vehicle speed and the Audi drive select setting. At higher driving speeds, dynamic steering helps to improve straight-line stability, and at lower driving speeds, a more direct steering ratio is utilized to help increase steering response for easy maneuvering. The 2018 SQ5 mirrors the Q5’s distinctive Audi “Q” SUV design language, with a flat, coupe-like roof line coupled with a strong, wave-design shoulder line and pronounced wheel arches which emphasize the standard quattro® all-wheel drive. The SQ5 is characteristically recognized by its sporty design differentiators including a platinum gray Singleframe® grille with aluminum optic double horizontal blade bars, aluminum optic exterior side mirrors, and S model rear roof spoiler. Sculpted, three-dimensional LED headlights flow in harmony with the clamshell hood to the wider horizontal rear of the vehicle and LED taillights with dynamic turn signals. 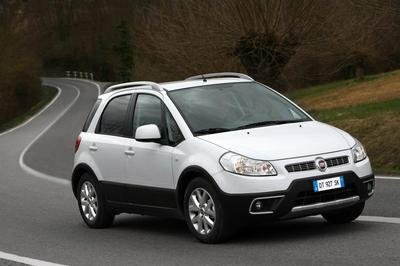 The interior offers improved space compared to the previous generation, with more rear legroom and shoulder room, as well as increased cargo capacity with the second row seats folded down. The SQ5 is also standard equipped with a three-spoke multifunction flat-bottom sport steering wheel, sport front seats with available diamond stitching, standard matte brushed aluminum inlays or available carbon atlas inlays and standard stainless steel door sill inlays with S badging. The asymmetrical center console of the interior creates a driver-focused cockpit while a small number of controls with expanded functionality helps bring a greater ease of operation into the SQ5. 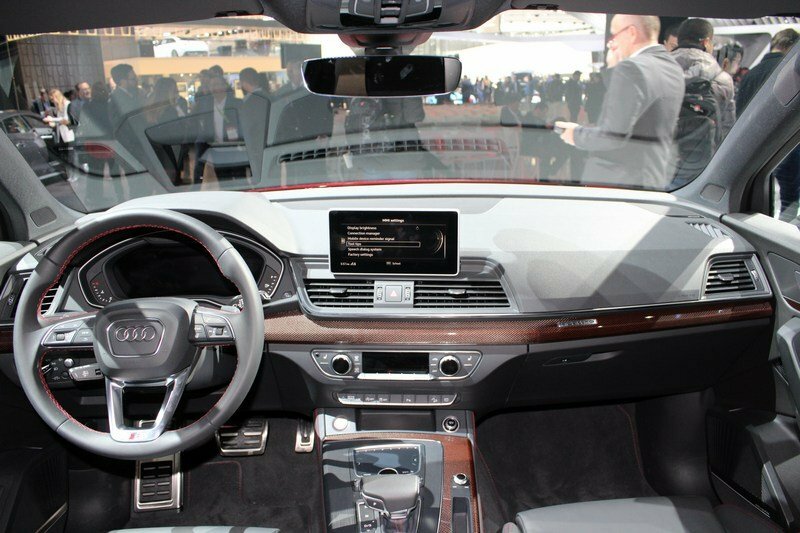 The new SQ5 also offers advanced infotainment options including MMI® touch® with handwriting-recognition technology, Bang & Olufsen® sound system with 3D sound and standard Audi smartphone interface, which provides Apple CarPlay™ and Google™ Android Auto integration. Also available is the Audi virtual cockpit, which helps make viewing and navigating via the large Google Earth™ images supported with 4G LTE (where available) easier on the driver’s eyes. Unique to SQ5, the virtual cockpit features a “sport” display mode, which brings the tachometer and speedometer to the front and center of the display and adds a boost gauge and lap timer. Also available is a full-color head-up display which projects relevant driving information directly in the driver’s field of vision. In addition to infotainment and connectivity features, the SQ5’s advanced driver assistance systems are designed to help drivers navigate the road and traffic with increased confidence. Standard Audi pre sense® city, an automatic emergency braking system, can help detect stationary vehicles and pedestrians, and if necessary, initiate full braking at speeds of up to 52 mph when a potential collision is detected. Standard Audi side assist provides blind spot monitoring via LED indicators on the exterior mirror housing and includes rear cross traffic assist, which supports the driver when reversing out of perpendicular space, and pre sense rear which helps monitor the traffic following the vehicle. Also available is adaptive cruise control with stop & go automatically maintains distance from the vehicle in front, including braking and accelerating. Between 0-40 mph, traffic jam assist combines acceleration, braking and steering guidance, which can help decrease the stress of driving in congested traffic.